These architects aim to understand the horse as a client as much as the property owner when designing estates with equestrian facilities. 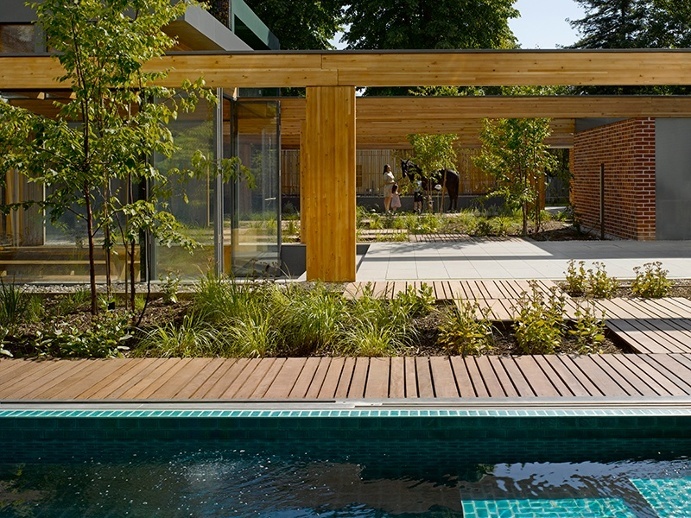 Stein, together with local practice Watson Architecture, has crafted an estate that caters to its residents—both human and equine. The facility that Stein and Watson have created is semi-circular in form, and centralizes accommodations in a compact footprint. 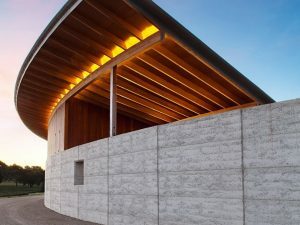 Its structure is capable of evolving as the needs of its owner, and its residents, change: “Stables don’t tend to stand still,” observes Stein. “They need to expand or contract—other people’s horses might be stabled there; other people might bring their horses to practice. 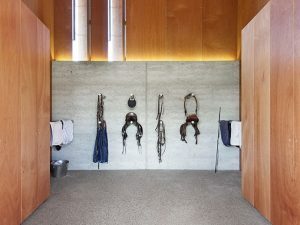 It’s got to be a flexible building.” The architects are now creating a residence for the horses’ owners—a nod to the stables-first, home-later history. Jack Hosea, director at Threefold Architects, takes a similar approach. “Try and understand the horse as a client as much as the person as a client,” he says. Hosea is the brains behind the visually stunning Ladderstile House, in London’s Richmond. The property is on the site of what was once a grand country house and comes with historic, and now rare, “ride-out” rights, meaning its owners can ride their horses directly from their home into the adjoining Richmond Park. 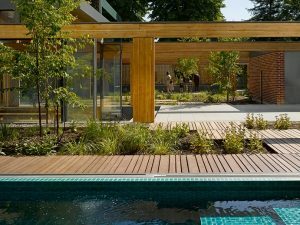 A “contemporary interpretation of a courtyard house,” the new-build property was conceived as a series of inside/outside spaces, or “pockets,” which catch the sun at different times of day. The kitchen area, for example, gets the morning light, while the swimming pool and courtyard are in the center, to get as much sunlight as possible—something its four-legged residents take full advantage of. “The owners are happy for their horses to wander around the courtyard,” says Hosea. This proximity to four-legged co-residents is something that is frequently found in Jackson Hole and the surrounding areas. With vast ranch land and open spaces, Wyoming is a perfect place to enjoy or create an equestrian estate. The appeal of an equestrian-designed home is to allow owners to have horses on the property. For many, horses are pets just like dogs or cats. Owners like to be near their horse to tend to them as well as ride them. 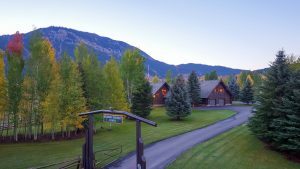 There is an enduring demand for equestrian properties because of the refuge these properties offer and an even larger demand for properties located near adjacent trails. Horses reconnect us with nature and ourselves. There is no better place to enjoy the natural surroundings than the Jackson Hole area. This post courtesy of Christie’s International Real Estate’s Luxury Defined.